Nephrogenic diabetes insipidus (NDI) usually shows an X-linked recessive mode of inheritance caused by mutations in the vasopressin type 2 receptor gene (AVPR2). In the present study, three NDI families are described in which females show clinical features resembling the phenotype in males. Maximal urine osmolality in three female patients did not exceed 200 mosmol/kg and the absence of extra-renal responses to 1-desamino-8-d-arginine vasopressin was demonstrated in two of them. All affected females and two asymptomatic female family members were shown to be heterozygous for an AVPR2 mutation. Skewed X-inactivation is the most likely explanation for the clinical manifestation of NDI in female carriers of an AVPR2 mutation. 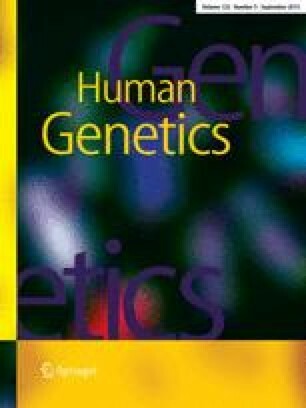 It is concluded that, in female NDI patients, the possibility of heterozygosity for an AVPR2 gene mutation has to be considered in addition to homozygosity for mutations in the aquaporin 2 gene.